With Tuesday’s primaries out of the way, the field is set for November’s elections. 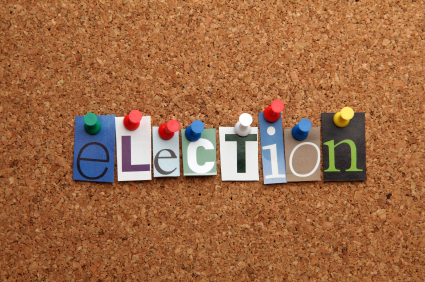 The statewide contests have received the bulk of the attention (well, two of the three) but we also have the 100-member House of Delegates contests. My congratulations to all of the nominees. To those not chosen, thank you for offering to serve us. The contest for AG has received scant attention: Herring did not face an intra-party challenger and Adams was the last man standing after Rob Bell withdrew and Chuck Smith failed to qualify for the primary ballot. 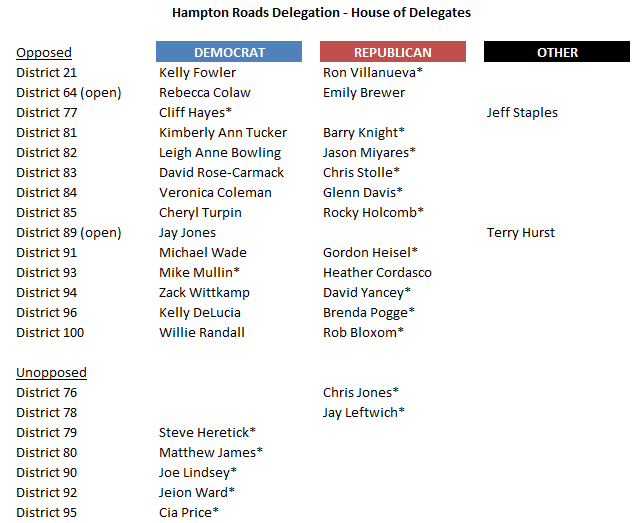 Hampton Roads has 21 members in the House of Delegates. This year, two-thirds – 14 seats – are contested, including two open seats. Two years ago, only eight seats were contested, also including two open seats. Obviously, there’s some enthusiasm out there. Next Post Year of the woman? Its great to see so many contested races. People should have a choice.